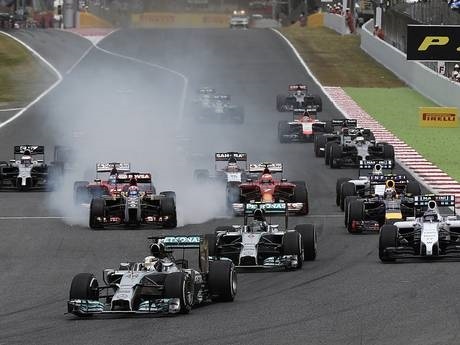 So ends another Formula One race weekend, the Spain GP, and with it, another Hamilton win. Mercedes is just magnificent this year, really on top of their game and so far ahead of the competition it’s almost unwatchable. Almost. 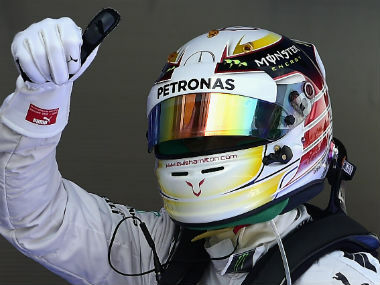 Lewis Hamilton went from pole to podium with very few glitches today. Despite sounding somewhat panicky over radio transmissions, the Brit driver was supreme today, withstanding a late charge from teammate Nico Rosberg, and overcoming some rather slow pit stops to claim to top step for the fourth time in a row (the first time in his F1 career that he has done this). It wasn’t an easy victory any way you call it, as Nico looked ready to pounce at any moment, and I think if the race had been one lap longer he would have, but for the moment, Lewis is romping ahead both on track and in the drivers standings. Nico looks a bit perplexed as to why he is unable to achieve the same levels of consistency as his teammate, and I think that things are somewhat awkward at Mercedes at the moment (anybody else notice how they didn’t speak a word to each other before the podium ceremony? Awkward.) However, the German claimed second spot comfortably ahead of Ricciardo, who overcame his podium demons and finished in third. Ricciardo is really thriving at Red Bull, and it is great to see someone who is so enthusiastic and passionate about what they do. Too often these days drivers seem to be hiding behind PR machines, but Ricciardo seems genuinely thrilled to be doing what he is doing right now. Ricciardo’s teammate also had a great day out at the races today. Vettel struggled at first to get through the field, but once he started, he was nigh unstoppable, finishing in fourth place after starting fifteenth. It’s obviously still a long way from the top step of the podium, but it is progress after the hellish last few races for the Quadruple World Champion. Speaking of World Champions, Ferrari did not have such a great day today. Both drivers spent the majority of the race in the lower end of the top ten, and despite some in-team racing towards the end of the race, there is nothing too interesting going on there, with Alonso finishing in sixth and Raikkonen in seventh, after having suffered the humiliation of being lapped by the leading Mercedes cars. For a team of such a racing legacy, I am worried, and I hope that they can bring the fight back by Monaco. Lotus had a stronger weekend this race, much to the relief I think of both team and fans, with Grosjean having a cracker of a start and getting the teams’ first points finish of the season in eighth. Maldonado kept to his crashtastic legacy, and finished down the field in fifteenth. The Williams team showed some promise at the start, with Bottas having a great start and fending of Vettel for as long as possible, before conceding the place and finishing in fifth. Massa struggled to do much with his good grid position, and finished down the field in thirteenth. McLaren’s race in Spain is something that I think they will want to forget fairly quickly, with both drivers finishing outside the top ten, their third race finishing outside the points, Button’s worst performance since 2009. Here’s hoping that the team can find some performance for Monaco in two weeks. For the rest of the field, there was nothing too exciting to report on. Jean-Eric Vergne continues to be hugely unlucky with yet another retirement from a race, where he was joined shortly after by Kamui Kobayashi. Everyone from seventh down finished a lap behind the dominant Mercedes duo, a stark warning of what’s to come in the future if teams cannot improve. 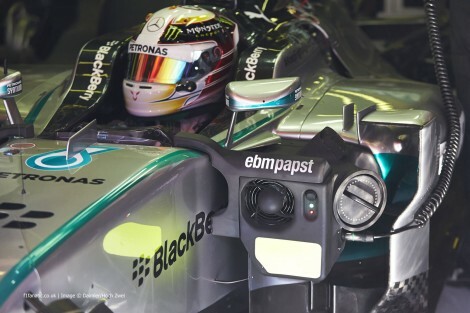 My last thought from today’s race concerns the dominance of the Mercedes team. Dominance in F1 is nothing new. We have seen it in the Schumacher/Ferrari days; the Vettel/Red Bull days, and now today. Dominance is never a good thing for a sport. It turns fans off (I found myself flicking to check the news today to see if anything interesting had happened there, because I was so bored with the early stages of the race). It ruins expectations, causes a lack of excitement for everyone except the dominant team fans, and generally is never a good thing for the progress of the sport. Undoubtedly Mercedes is happy with their current form, and they would surely like for it to continue, but when drivers are warning that they could win every race still to come, and teams are trying everything they can and still not making any gains, it takes the fun out of the sport. F1 is about the attainment of racing perfection, but it’s a whole lot more fun when there’s a little wobble now and again. Driver of the Day: Sebastian Vettel. Team of the Day: Mercedes. Untouchable.